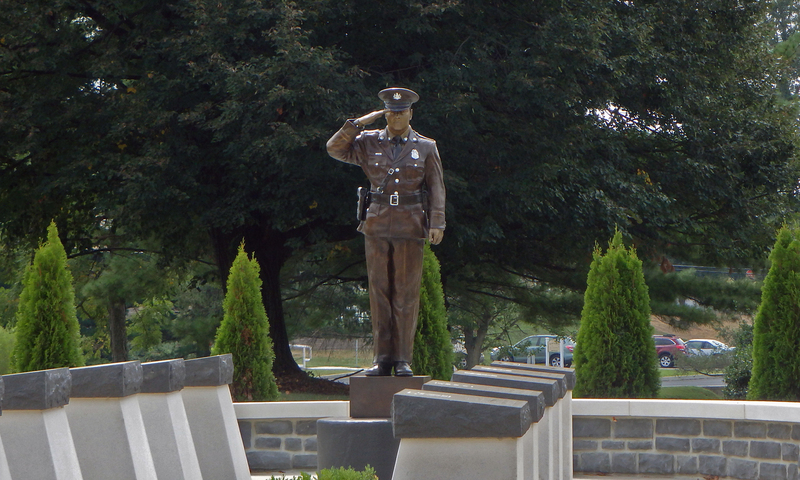 Click here to read the book The Death of Pennsylvania Railroad Police Officer John L. Beisser, by Randy Watts written in tribute to Officer Beisser. John Lewis Beisser was born April 14, 1880 in Watsontown, Pennsylvania. He was a veteran of the Spanish American War, having served with Co. D., 12th Regiment, Pennsylvania Infantry Reserves. At the time of his murder he was 36 years old and resided with his wife in Lemoyne. The family had no children. According to testimony at the trial of the shooter, it was established that he had married in November 1905. He was employed by the Pennsylvania Railroad for about eighteen months. When hired he worked on the Baltimore division but six months prior to the shooting, he was transferred to the Philadelphia division when they took over responsibility for the York Haven branch, on which the shooting occurred. 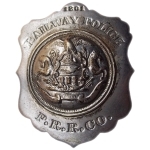 Sometime between 11:00 a.m. and noon, Friday October 20, 1916 Pennsylvania Railroad Police Officers John L. Beisser and Harry C. Chubb were shot by Archie Miller, a vagrant from Charleston, South Carolina along the Pennsylvania Railroad near Wormleysburg. Officer Beisser died almost instantly from his injuries; Officer Chubb survived but was seriously injured. Two vagrants, Archie Miller and Jasper Fletcher, were hopping freight trains to return south after working in Jersey City, New Jersey. On the morning of October 20, 1916 they crossed the Market Street bridge from Harrisburg into Wormleysburg and began walking north along the tracks of the Pennsylvania Railroad. While doing so they met a prostitute who warned them that there were railroad police in the area; at that point Archie Miller took a .45 caliber automatic pistol from his rear pocket and holding it in his hand, concealed it under the bib of his overalls. As Officer Beisser walked toward them and started to ask where they were headed, Miller pulled out his pistol and fired two shots at Officer Beisser who fell dying. Miller then shot Officer Chubb in the leg. The shooting was witnessed by several trainmen who, along with others from the town, soon captured the pair along the river toward West Fairview. They were taken to Harrisburg and interviewed. Police brought them back to the scene to look for the weapons they had discarded when they were almost lynched by an angry crowd. The police officers protected them and ultimately transferred them to the the Cumberland County Prison in Carlisle. Miller was tried and convicted in February 1917. After a series of appeals, he was executed in November 1917. Fletcher was never prosecuted. Chubb later returned to work for the railroad.